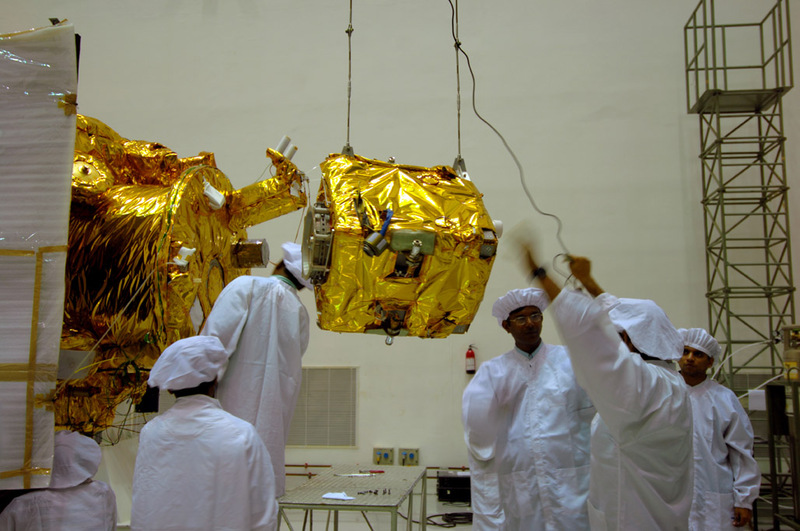 Watch the Chandrayaan-1 launch live on the Internet! India's space agency, ISRO, has announced that they will be hosting a live webcast of the launch of Chandrayaan-1 lunar orbiter, beginning on October 22 at 05:50 Indian Standard Time, which is 00:20 UTC, or October 21 at 17:20 my time. (Yes, India is one of the few countries in the world whose standard time is offset from most other nations' standard time by a non-integer number of hours; click here for a conversion to your local time zone.) 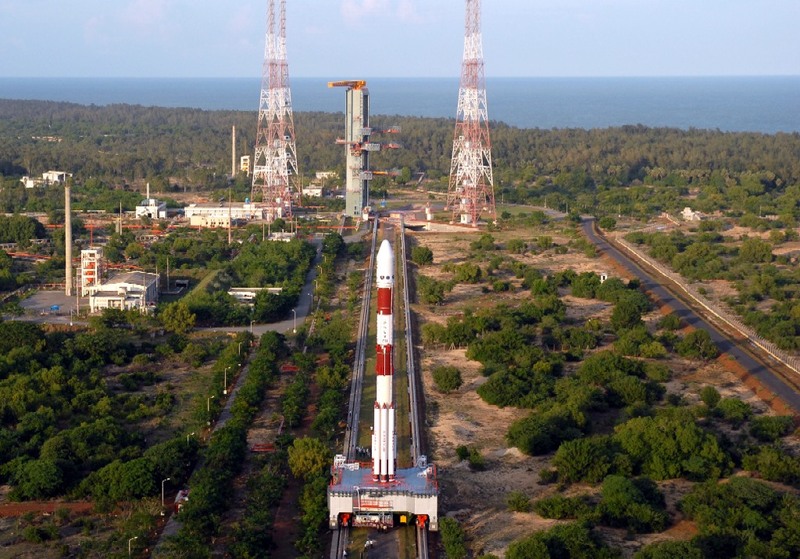 I don't have a link to the webcast itself, but it should be reachable from the ISRO home page. 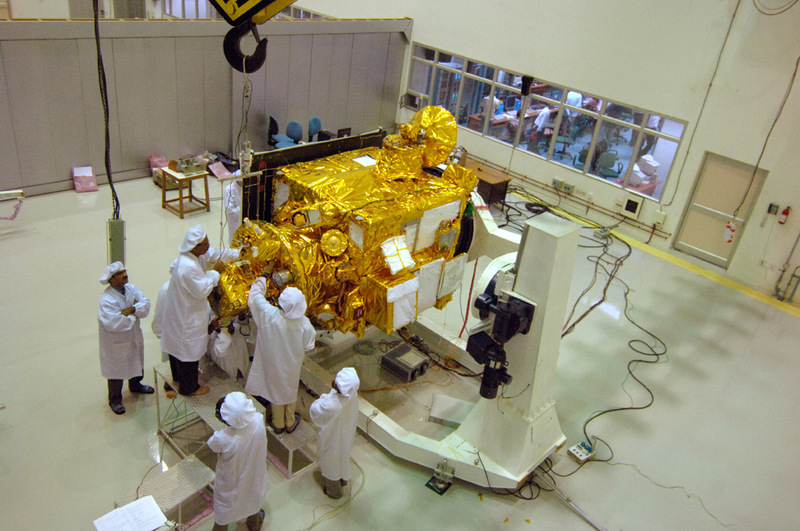 And one more pic of the spacecraft undergoing prelaunch testing, after the impact probe had been attached. According to the metadata within the original JPEG files, these last two photos were taken on October 4. Here's a detailed story on the preparations taking place during the countdown (which is already underway). 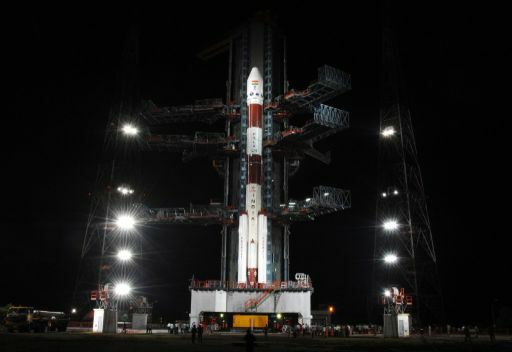 I'll be watching the launch for sure, and will keep posting updates!